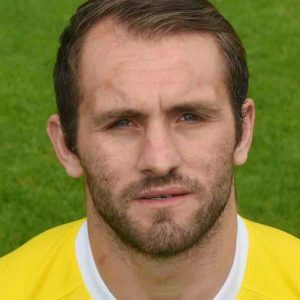 Lee Chilton – back for his second spell at Khalsa. Sporting Khalsa are delighted to announce the signing of experienced attacking midfielder Lee Chilton for the 2018-19 season. ‘Chilly’ spent last season playing for West Midlands Regional League side Cradley Town before moving to Midlands Football League side Lye Town. Technically, Chilly will be in his second spell with Sporting Khalsa having signed for Khalsa in the close season 2016 and making his competitive debut in a 1-1 FA Cup draw against Hanley Town. He made just four full appearances, without scoring (surprisingly), before departing for one of his previous clubs, Halesowen Town, in August 2016. Chilly has turned out for – amongst others – Halesowen, Hinckley, Stourbridge, Leamington, Willenhall, Telford, Alvechurch, Stafford Rangers, Black Country Rangers, Lye Town and Cradley Town and was the 2007-08 Midland Alliance Player of the Year. As was perhaps the worst-kept secret in West Midlands non-league football, Chilly was the Trialist who bagged four-goals in yesterday’s 7-0 win against Dudley Town. He joins other new confirmed signings including Tony Clarke, Alex Perry, Garfield Robinson, Dale Reaney, Ryan Pratt, Rico Taylor, Kieron Miller and Lee Butler. Many thanks to Quorn FC for kindly helping to speed up the transfer process. Chilly will be in the squad for Khalsa’s next preseason game against one of his former clubs, Halesowen Town, on Tuesday.